Where you go can tell a lot about you. Google would now like to use what it already knows about your travels to better pitch some new Android apps. 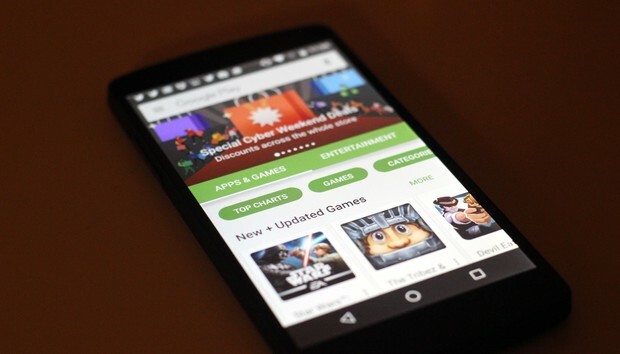 An update to the Google Play Store features a new option: Use itineraries from Gmail. You can turn it on in the settings, and as the description implies you should see more apps that are tied in directly to the locations and appointments in your Gmail. The new option may give you better recommendations next time you fire up the Play Store. If this creeps you out too much, you’re able to shut the feature off. However, it’s worth trying out as app discovery remains a tricky business. Using personalized information, much like Google does with search, may help you discover apps you wouldn’t have found otherwise. This feature if found in the newest update to the Google Play Store, which will update over time on your device. You can grab it now from APK Mirror if you’d rather not wait. Why this matters: Google’s deep data ties to your account can help the company offer more personalized recommendations compared to Apple’s App Store. This could lead to happier app customers and more installs for developers. Privacy often remains a concern with such moves, but sometimes you have to play by Google’s rules if you want to see the benefits.